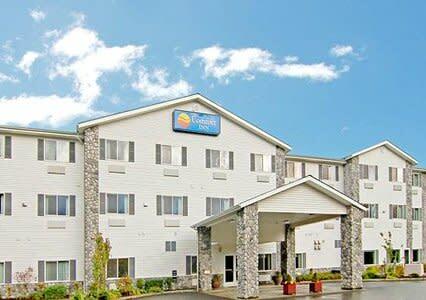 Welcome to the Comfort Inn Conference Center in Tumwater! Guests will enjoy our soft and cozy bedding, free breakfast, free internet service, free local newspaper, free parking indoor heated pool, hot tub, exercise room and our accommodating friendly staff while visiting or working anywhere in the Olympia, Lacey, or Tumwater area. A 100% non-smoking hotel, the Comfort Inn® Conference Center is located directly off Interstate-5, just minutes from downtown Olympia. 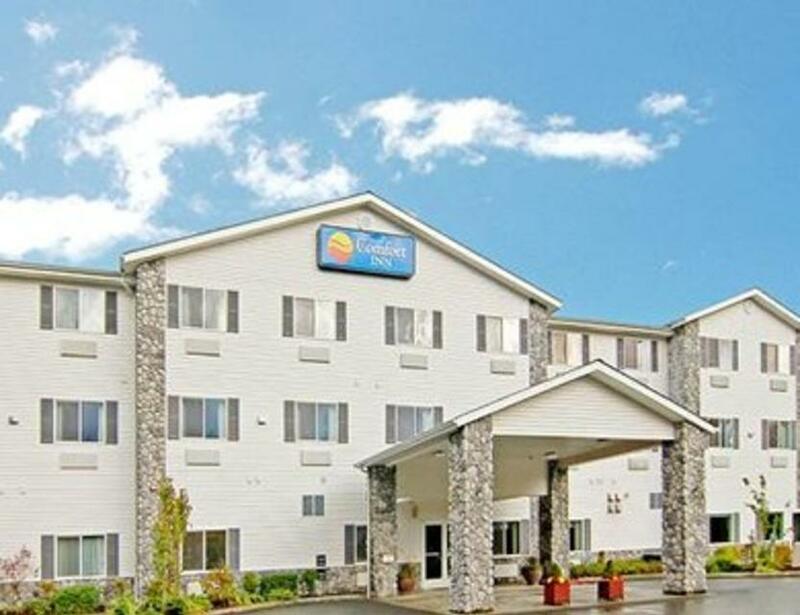 Nestled in a serene forest setting yet within walking distance of many area attractions, shopping centers and state government offices, visitors to the Olympia, Lacey and Tumwater area need look no further than the Comfort Inn Conference Center for their overnight stay needs. Your Morning Breakfast is full of hot and delicious options, making breakfast at the Comfort Inn Conference Center the perfect way to start your day. Enjoy a breakfast featuring eggs, meat, yogurt, fresh fruit, cereal and more, including your choice of hot waffle flavors! Need an emergency item? The hotel provides basic toiletry items at no additional cost. Business travelers will appreciate the on-site business center and access to copy and fax services. There are conference facilities available to accommodate up to 360 people for most events and business functions. This is a pet-friendly hotel (additional fees apply). All spacious guest rooms come equipped with compact refrigerators, microwaves, hair dryers, coffee and tea makers, irons, ironing boards and cable television with premium movie channels. The oversized rooms, which can accommodate up to six people, are PERFECT FOR FAMILIES. Ask about the suites which provide apartment-style living with a full kitchen and living area. Weary travelers will appreciate the blackout window drapes, great for jet lag recovery. There are laundry facilities located on the property for guest use and the also offers valet dry cleaning services (additional fees apply). The Comfort Inn is located very close to area attractions including the Washington State Capitol Building, the Olympia Waterfront, JBLM, St. Martin's University, Evergreen State College and Tumwater Falls Park. Other nearby attractions include the Regional Athletic Complex in Lacey, Batdorf & Bronson Coffee Roasters, Wolf Haven International, Lewis County Event Center and Sports Complex, The Hands On Children's Museum, Washington Center for the Performing Arts, the Olympia Farmers Market, the Billy Frank Jr. Nisqually Wildlife Refuge, Fort Lewis Military Museum, Shipwreck Beads, the Olympic Flight Museum, the Olympia Regional Airport, the Capital Playhouse, South Sound Speedway, the Painted Plate, Percival Landing Park, Northwest Trek Wildlife Park and Tumwater Valley Golf Club. The convenient location, competitively priced rooms and relaxing accommodations make the Comfort Inn Conference Center the perfect destination in the Tumwater, WA area. Our friendly staff looks forward to making your stay a pleasant one.